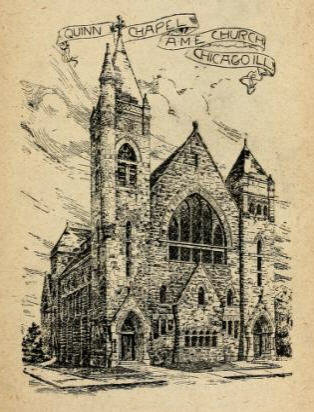 Colored People's Blue-Book and Business Directory of Chicago, Ill.
Chicago: Celerity Print. 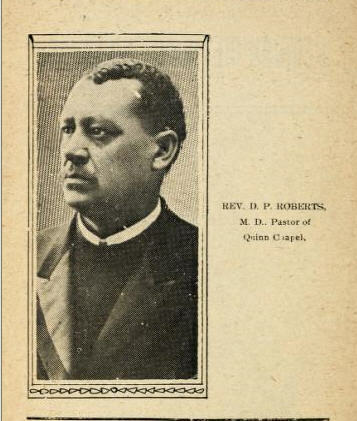 Co. 1905. 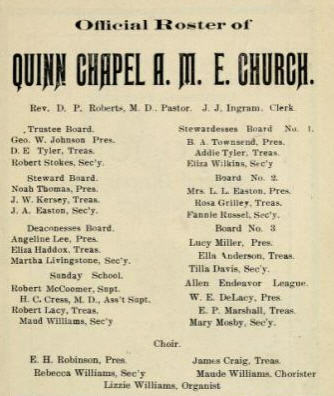 Entry from directory on Quinn Chapel, A.M.E.: click on "photos" to see entry.